Since the Fall, I’ve been talking with some folks from Mountain View County about Alberta’s historic places programs. The Municipal Heritage Partnership Program has worked with many of Mountain View’s neighbours – Red Deer County, the M.D. of Bighorn, and Clearwater County – and now they too are exploring opportunities to conserve their historic places. They’re also looking for innovative ways to connect the unique places their communities have to offer with cultural tourism. Greg Campkin, a member of the County’s Economic Development Committee, invited me (Matthew Francis) down to Mountain View to speak at a great event on Tuesday evening, March 19th. County Council chambers served as the venue, and were filled with a capacity crowd. At the meeting, I shared a little bit about the basics of heritage conservation, our Alberta approach, and also described some of the ways community can both showcase their historic places, and become more “visitor friendly.” I got to meet some great people from Water Valley, Sundre, and others from around the County. I’m looking forward to keeping the conversation going and seeing how we can work together to create a bright future for Mountain View’s historic places. Things are happening in Mountain View County! Stephen Avenue – where the historic meets modern. Back at our Place Matters! Municipal Heritage Forum in November 2012, we heard a dynamic presentation from City of Calgary Senior Heritage Planner, Darryl Cariou, about Stephen Avenue. He described – with his usual wit – the history of the Avenue from its early days through the various “pedestrian mall” concepts popular from the 1960s through the 90s. One of the most compelling aspects of the presentation was the juxtaposition of images and photographs of the Avenue over the decades. 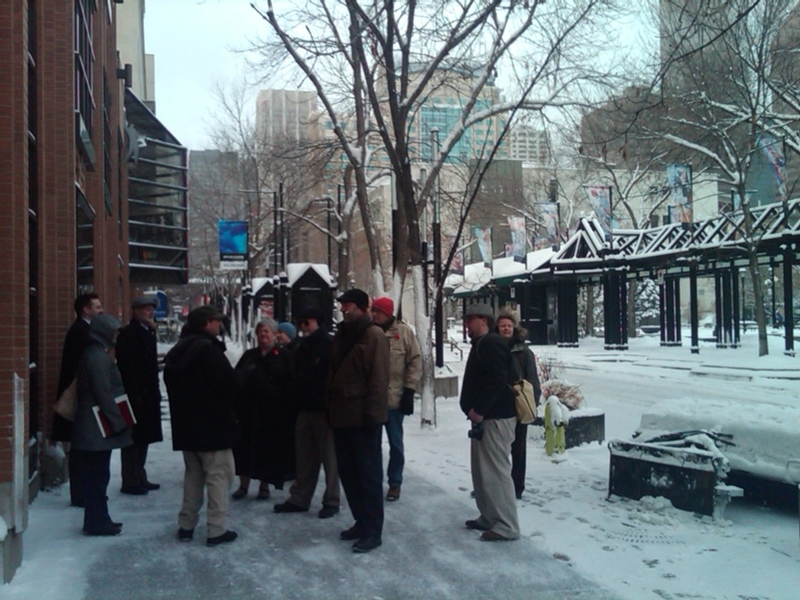 Here is a link to Darryl’s image-rich presentation of Stephen Avenue. Calgary’s Stephen Avenue provides a direct link to the unique circumstances that shaped the character of urban development on the Canadian Prairies between the 1880s and 1930. The typical prairie city was a distinct entity from the beginning: built according to a gridiron plan oriented to the convenience of the railway and its station, with a spatial organization that placed retail and financial businesses close to the station, industry on the outskirts of the core, and residential areas in outlying suburbs that were serviced by streetcar systems. The combination of rapid growth, gridiron plan and distinct commercial, industrial and residential zones distinguished western cities from their older eastern counterparts. During Calgary’s “sandstone era,” entrepreneurs converged on Stephen Avenue, building rows of commercial blocks in brick and stone that reflected the dramatic growth in the retail sector of the Canadian economy at that time. 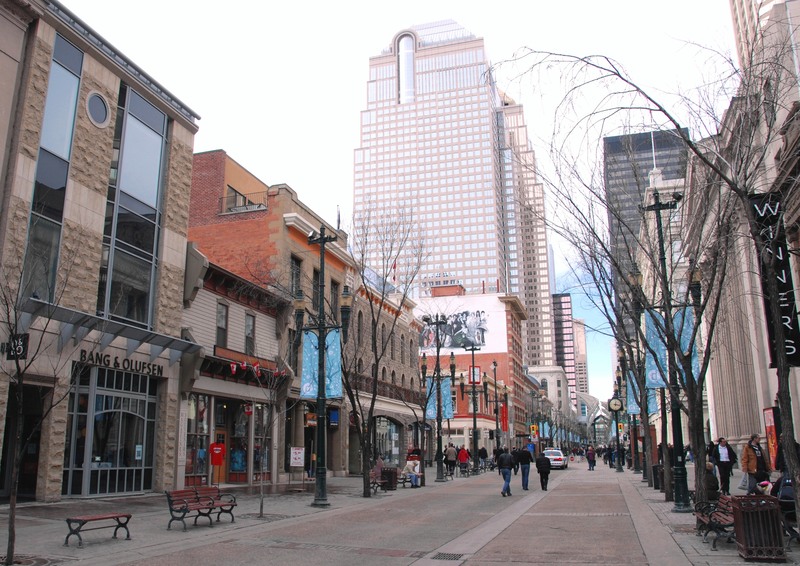 This street became the hub of Calgary’s retail district, strategically situated near the station and rail yards, and at the convergence point for streetcar lines leading to the city’s outskirts. The remarkable thing about Stephen Avenue is that it continues to perform its original function as Calgary’s main street, despite the dramatic changes that have transformed retailing and urban cores across the country. Today, the rows of two to six storey commercial buildings that line both sides of the street continue to house a broad range of retail services, while their designs reflect the architectural revival styles of a bygone era, in sharp contrast to the office towers that now encircle the area. Saved from redevelopment through the efforts of far-sighted Calgarians in the 1970s, the buildings along Stephen Avenue serve as reminders of the central role that retail streets have played, and continue to play, in sustaining the vitality of Canada’s cities. Whether you stroll Stephen Avenue this summer as a tourist, rush along the street during your lunch break or dine in one of the many restaurants along the Avenue, perhaps the next time you experience Stephen Avenue you will take a moment to breath in the history and heritage of this significant cultural landscape! 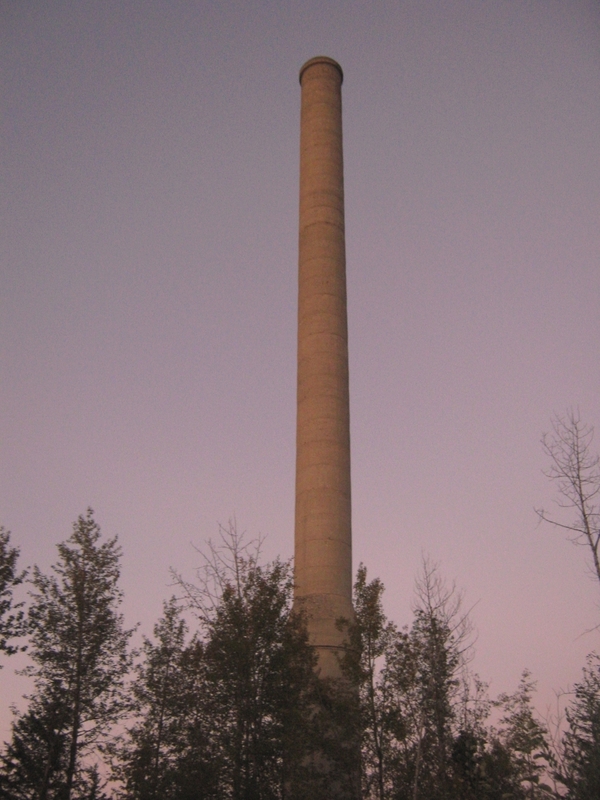 Marlboro Plant, Marlboro (evaluated as part of the the Yellowhead County Municipal Heritage inventory project). West of Edmonton, Yellowhead County is located along Yellowhead Highway 16. It encompasses 7,012,000 acres stretching from the Pembina River in the east to the Jasper National Park gates in the west. Travellers that frequent this section of the Yellowhead Highway are likely familiar with the Towns of Edson and Hinton and, of course, the iconic Rocky Mountains. What might be less familiar is that alongside these Highway 16 destinations and nestled off into the north and south of this transportation corridor are reminders of a long and varied history. Trapping, logging, farming, coal mining and more recently oil, gas and tourism have all impacted the development of what is now Yellowhead County. Various structures, cultural landscapes and buildings located in the hamlets of Evansburg, Wildwood, Robb, Cadomin and Brule (amongst others) retain glimpses of this diverse history. Miners cabins, ranches, hotels, industrial remains, barns, schools, churches, a pool hall and a water tower exemplify the range of potential historic places. 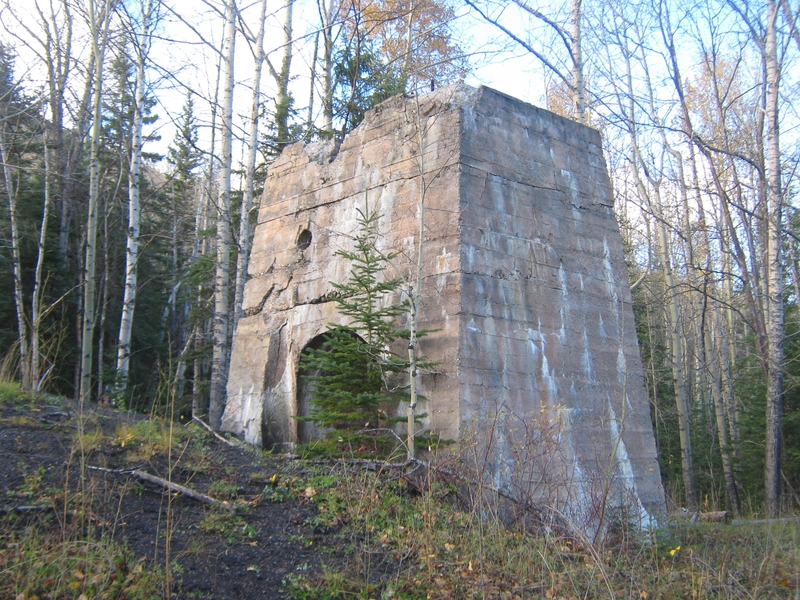 Brule Mine Landscape, Brule (evaluated as part of the the Yellowhead County Municipal Heritage inventory project). Over the coming months, this project will be concluded. To learn more about Yellowhead County’s heritage program, click here. 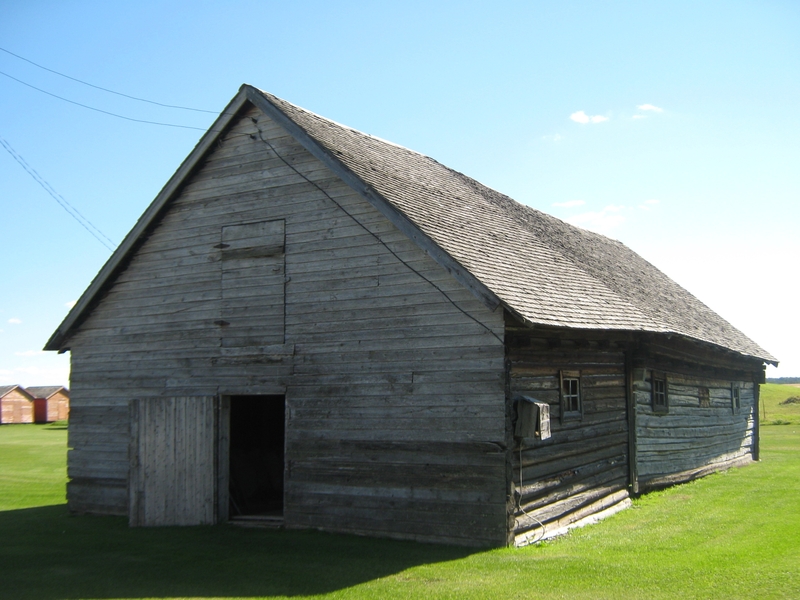 Myschuk Barn, near Wildwood (evaluated as part of the the Yellowhead County Municipal Heritage inventory project). 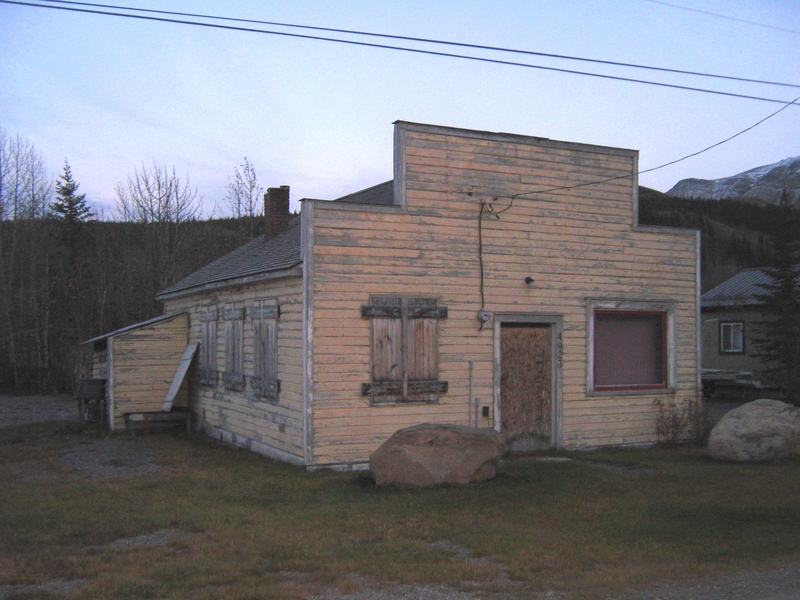 Cadomin Photo Studio, Cadomin (evaluated as part of the the Yellowhead County Municipal Heritage inventory project). 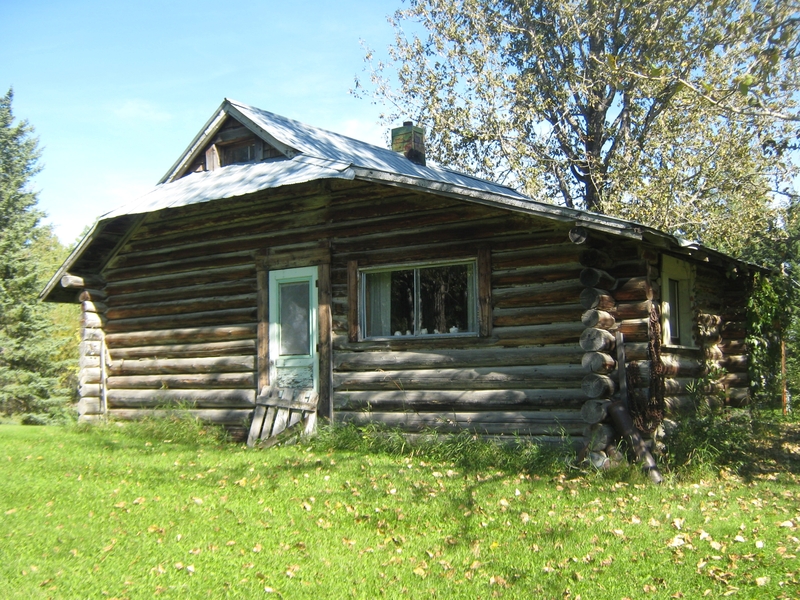 Shinning Bank Farm (evaluated as part of the the Yellowhead County Municipal Heritage inventory project). Every building has a foundation, whether it’s above ground or below ground, concrete or wood. 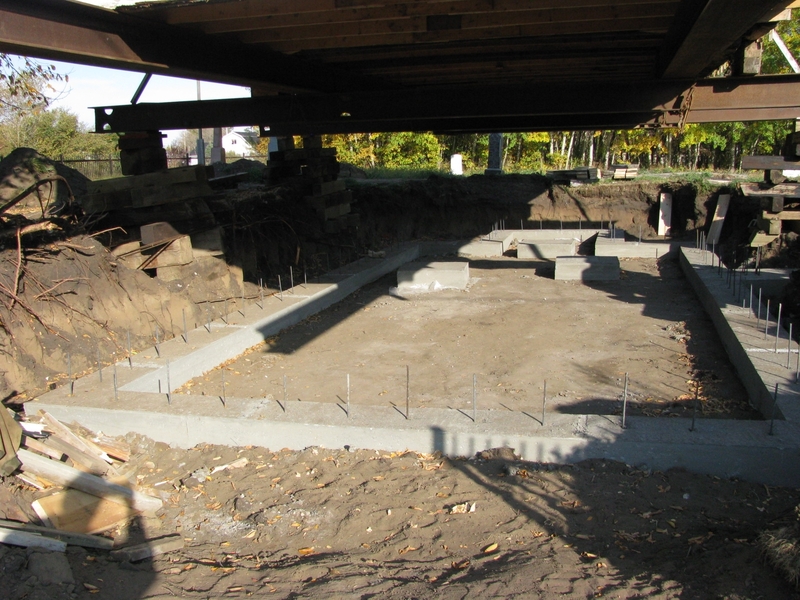 A foundation is the first building element constructed and therefore it is very important to get it right. Any errors or flaws will manifest, either relatively quickly for a major mistake or over time for a subtle error. 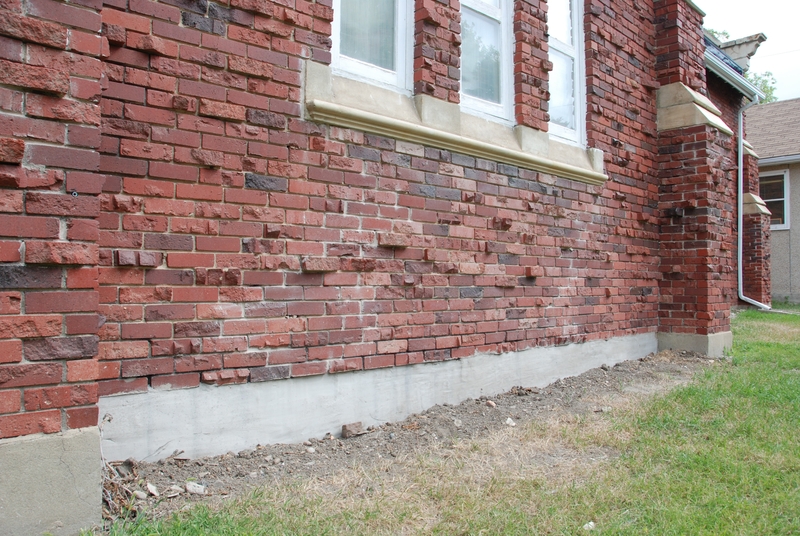 In Alberta, most heritage building foundations are poured-in-place concrete. Some foundations are comprised of concrete blocks while others are comprised of a mixture of masonry units (i.e. fieldstones, cut stones and brick). Now and again flaws such as cracks and spalling (the breaking or splitting of surface layers) manifest themselves. It is not recommended to ignore these deficiencies as, depending on their severity, they can be repaired fairly easily. If left unrepaired, the severity will increase. Some foundation flaws/cracks are inevitable and often show up early once the building is finished and the full weight of the structure is at rest. Others appear once the structure above and the ground beneath have fully settled. 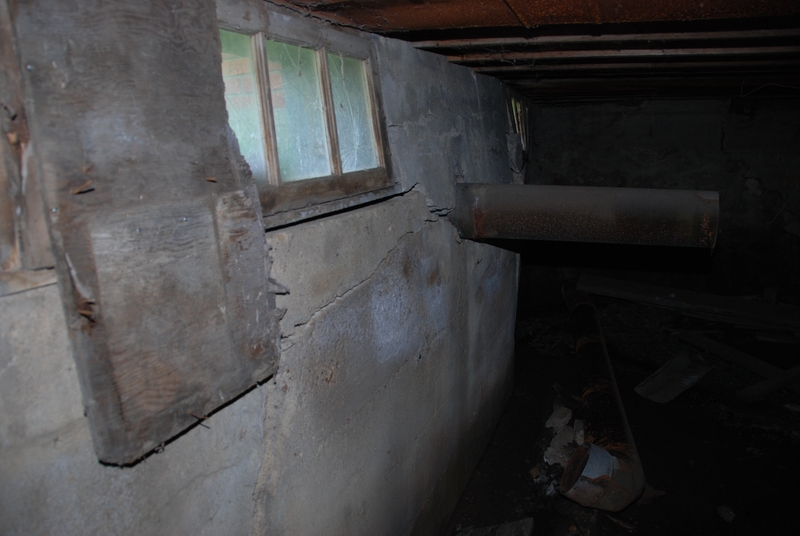 Depending on the ground composition and the depth of the foundation (foundation depths vary, such as a full basement vs. a crawlspace), these settlement cracks will vary in size. And finally, some cracks will suggest that something is wrong with the foundation but if addressed in a timely manner may still allow a reasonable/affordable correction to be implemented. Foundations can also be damaged by water and seasonal frost heaving. To minimise this damage, ensure that the grade slopes away from the building with sufficient drainage to move the water away. Frost protection can be achieved by embedding the ground with high-density foam insulation to prevent the frost line from going under the foundation if it is less than four or six feet (1.2 metres or 1.8 metres) or by underpinning the foundation to a depth greater than the frost level in the area (this is usually at least 1.8 metres in Canada, which is one of the reasons why we tend to have basements). If one has to dig that far down to protect the foundation against frost then one might as well as make it a usable space. The Standards and Guidelines for the Conservation of Historic Places in Canada contains a number of sections related to the conservation and repair of foundations: check out the general recommendations of “Structural Systems” (4.3.8) under “Guidelines for Buildings” and for material specific information read about “Masonry” (4.5.3) and “Concrete” (4.5.4) under “Guidelines for Materials.” Depending on the type of structure and level of intervention, other sections of the Standards and Guidelines might also need to be reviewed. Type of crack (minor): surface only, usually located at higher stress points. Proposed solution (minor): concrete patching, parging or an injected filler product. Type of crack (medium): showing signs of structural failure and weakness such as spalling. 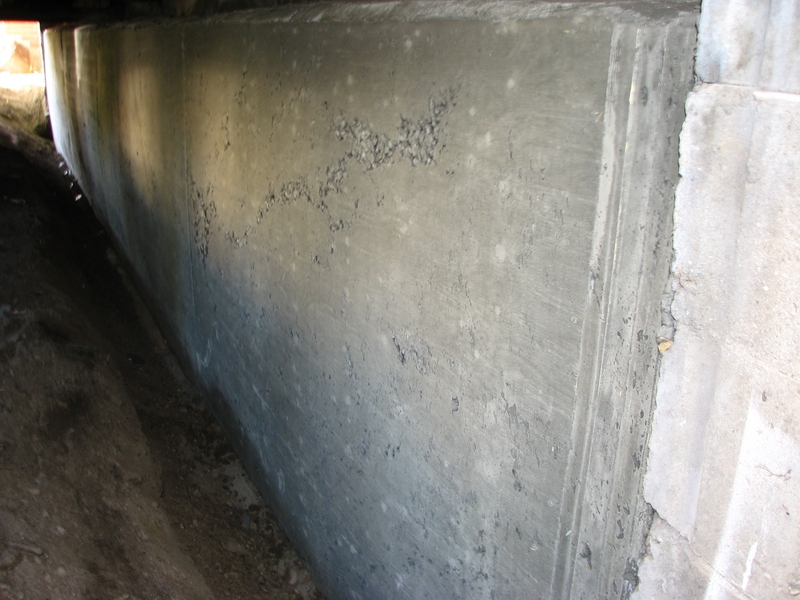 Proposed solution (medium): containment – pour new foundation wall against the old to stop the structural failure. Type of crack (significant): structural failure has occurred and structure becoming increasingly unstable. Proposed solution (significant): full foundation replacement. 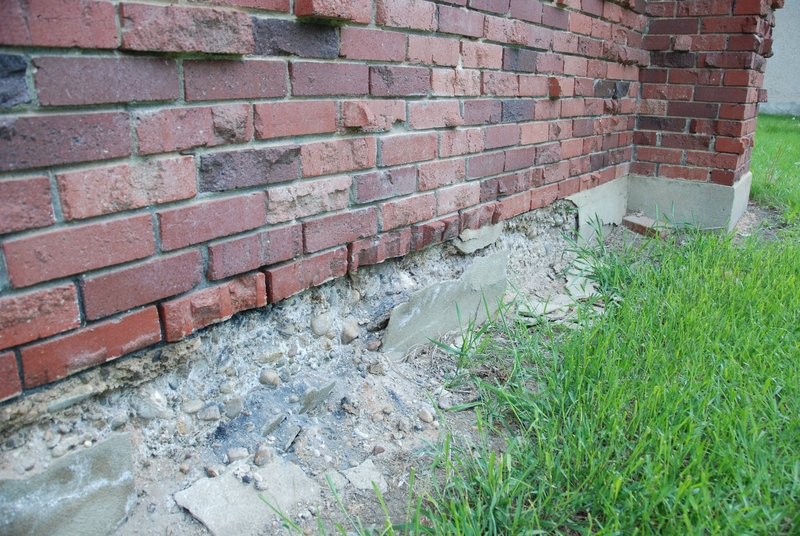 Minor and some medium types of cracks can usually be repaired by foundation specialists. Some medium and all significant level cracks will require the services of a structural engineer. Due to the specialty of the mixes and structural nature of foundations it is best to seek certified and experienced masonry/concrete professionals to help resolve the situation. 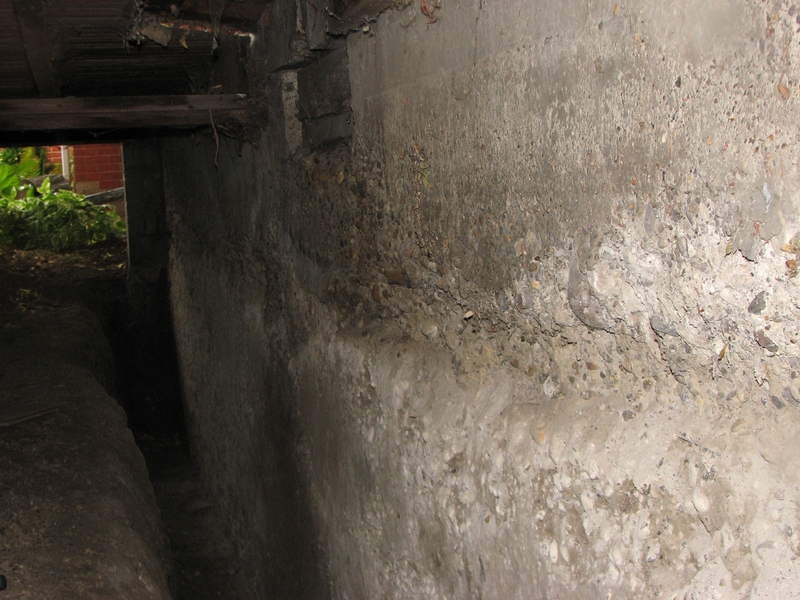 Ultimately, foundations perform a crucial function for our buildings. Whatever problems occur they will begin to transfer to the rest of the structure if they are not addressed. For designated provincial and municipal historic resources the costs incurred to address these issues, whether they be minor, medium or significant (including any engineering costs), would be eligible for grant funding through the Alberta Historical Resources Foundation’s Historic Resource Conservation program. Written by: Carlo Laforge, Heritage Conservation Adviser. I had the pleasure of attending the City of Lacombe’s Heritage Open House on February 28th. 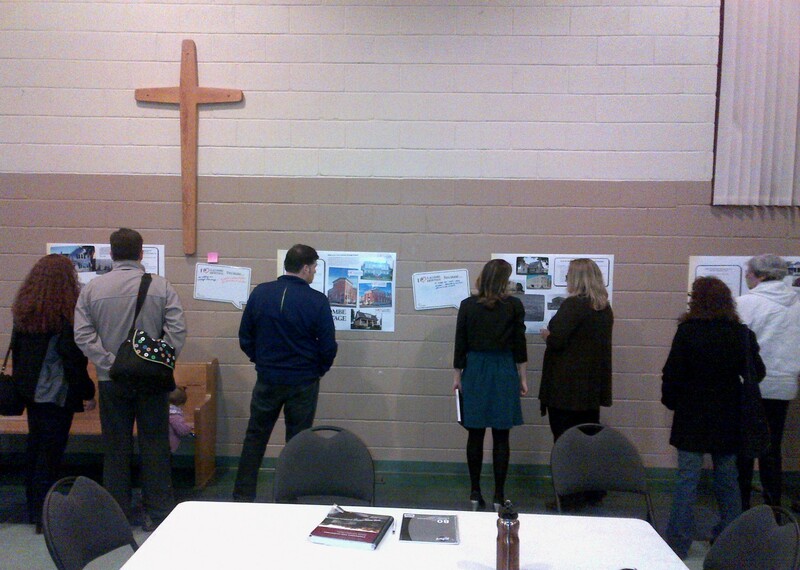 The city presented a draft of their heritage management plan for community perusal and input. The event was hosted by Lacombe’s Heritage Preservation Program at the beautiful St. Andrew’s United Church hall. People started arriving from the moment the doors opened and kept coming until the end, asking great questions about Lacombe’s Heritage Preservation Program. The turnout was wonderful. You can read a bit more about the event itself at the City of Lacombe’s blog. Lacombe’s Heritage Management Plan will ensure that locally significant historic resources are identified, protected and systematically conserved. Under the plan, the Lacombe Heritage Steering Committee will continue to revise and update the municipal heritage inventory begun in spring of 2011. The city will soon be able to protect locally significant historic places using new policies governing the designation of Municipal Historic Resources. The final elements will be the plan to evaluate changes to designated resources to insure they retain their heritage value. The plan will be complete and finalized in the coming months. We’ll bring you more information on the plan when it’s complete. The City of Lacombe can soon begin designating its first Municipal Historic Resources. Stay tuned. For those who are interested in Lacombe’s heritage, you may wish to check out their facebook page: I ♥ Lacombe Heritage. In 2012, the County of Two Hills passed a bylaw to designate the Russo Greek Catholic Orthodox Parish of St. Mary at Shandro, also known simply as the “Shandro Church,” as a Municipal Historic Resource. It is principally significant for its association to pioneers from Bukovyna, its connection with Bishop Tikhon, and its unique design and construction. The construction of St. Mary’s Church began and was supervised by members of the Shandro clan, who arrived in the Willingdon area in 1899 during one of the great waves of Ukrainian immigration into Alberta. The Shandro family came to play a prominent role in the Ukrainian community in Alberta. 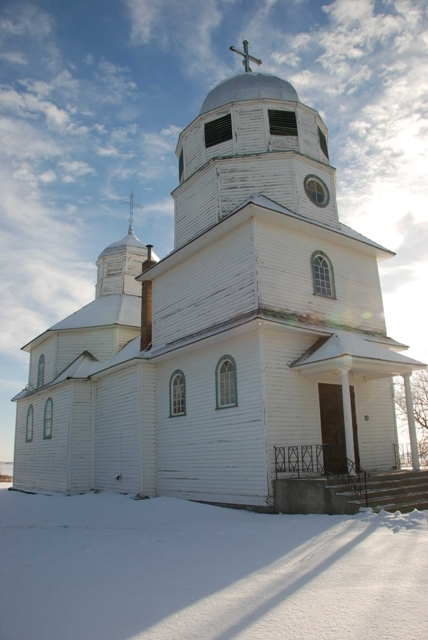 Read more about the heritage values associated with the Shandro Church; visit the Alberta Register of Historic Paces. Over the past year, Municipal Heritage Services staff collaborated with City of St. Albert staff and the St. Albert Arts and Heritage Foundation on developing a municipal heritage management plan. A grant from the Alberta Historical Resources Foundation, through the Municipal Heritage Partnership Program, partially funded the planning process. includes a process for nominating sites on the inventory for designation as Municipal Historic Resources, among other protective strategies. 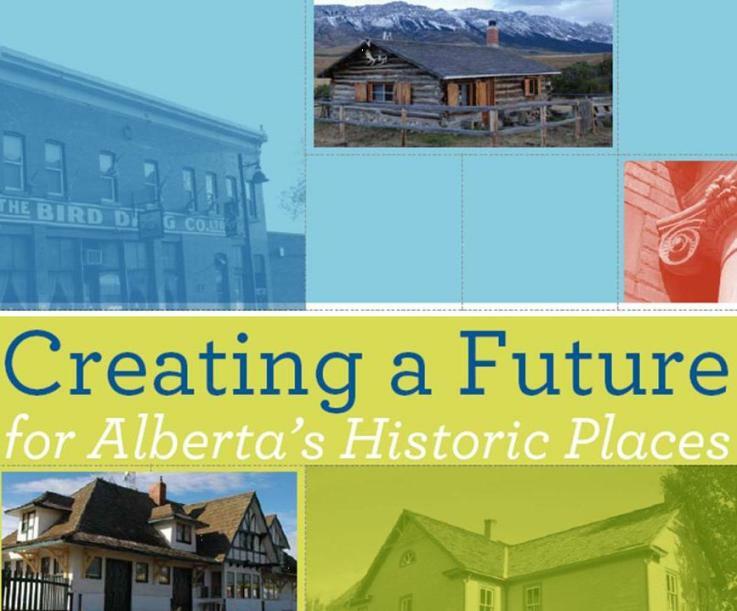 The plan also includes a provision to establish a reserve fund that can be used to help finance conservation work on Municipal Historic Resources and for raising public awareness of St. Albert’s heritage. We are excited to see St. Albert implement the plan over the next decade. If you’d like to discuss the possibility of developing a heritage management plan for your community feel free to contact MHPP staff.